Welcome to Eddy's Chicken and Waffles official website! *During Happy Hour on Wednesdays! The most popular. Chicken and Waffles. 4 whole wings, and a Belgian waffle. 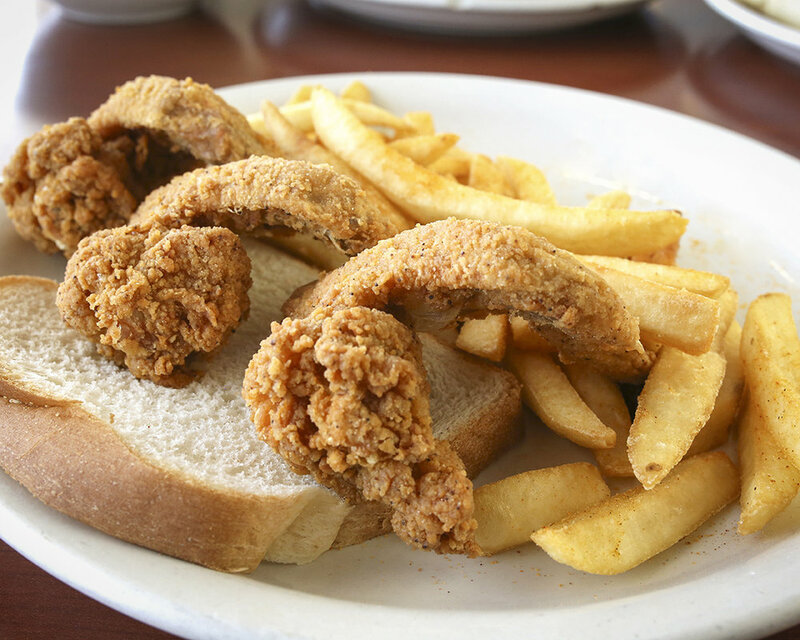 Your choice of 2 pieces of fish, served with fries and bread. The perfect lunch meal. 3 fresh whole wings, fries, and bread. Our crispy, freshly cooked bacon. Our Belgian Waffle. So good we serve it all day. Order for delivery from one of our partners! Find us on; UberEats, Grubhub, SkipTheDishes, Doordash, Bitesquad and Amazon Restaurants! Eddy's Chicken and Waffles has 2 convenient locations in the Columbus area to serve you! RT @skyyb3: @michaela_bay11 Eddy’s Chicken and Waffles. It’s on Livingston! Any questions, Concerns, suggestions, issues, or ideas, PLEASE LET US KNOW!